Nominated by: Swedish Interest Organization for Popular Movement Folk High Schools (RIO); The Swedish National Council of Adult Education, Folkbildningsrådet; Folkhögskollärarna (Trade union for Folk High School teachers); Studieförbunden i samverkan (The Swedish Adult Education Association). 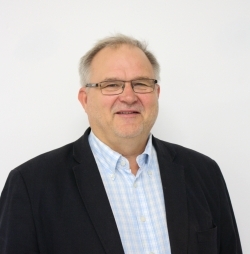 Kent Johansson is the former president of the Swedish Interest Organisation for Popular Movement Folk High Schools (Rörelsefolkhögskolornas Intresseorganisation, RIO). RIO is the national organisation for the 108 folk high schools run by civil society organisations. He is also a member of NFR (Nordiska folkhögskolerådet), the organisation for cooperation between the Nordic folk high school organisations. I have been a member of the EAEA board since last congress 2015 in Porto. He was the former president for the European Association of Regional and Local Authorities for Lifelong Learning (EARLALL 2006–2009), member of the Committee of the Regions (CoR 1996–2011), and member of the European Parliament (2011–2014). Europe is facing many serious problems: Unemployment, growing gaps, xenophobia and racism, undemocratic movements, climate change and lack of gender equity. I am convinced that adult education is a very valuable tool for dealing with these challenges. The right to education for adults is not only a right in itself but a necessary condition for positive solutions.